Discussion in 'Magazines' started by MDNA, Jan 7, 2019. It could have been such a good cover with backsground image only. The front "Rebecca" looks weirdly photoshopped, imo. EstefaniaAbaddon, YohjiAddict, ghostwriter10549 and 6 others like this. The pose could be more commanding, especially with that backdrop and the campiness of the dress. But it's a halfway decent cover. The timing is also perfect, as it was last year with Fran, because Rebecca is everywhere right now. Hopefully, there will be more promising shots in the edit. Overall it's almost unnecessary that Farneti held out so long. ghostwriter10549, apple and Blayne266 like this. I can't tell where is the elegance of youth from this cover. The styling, make-up and Rebecca's pose are all dull and awful, not to mention the background. 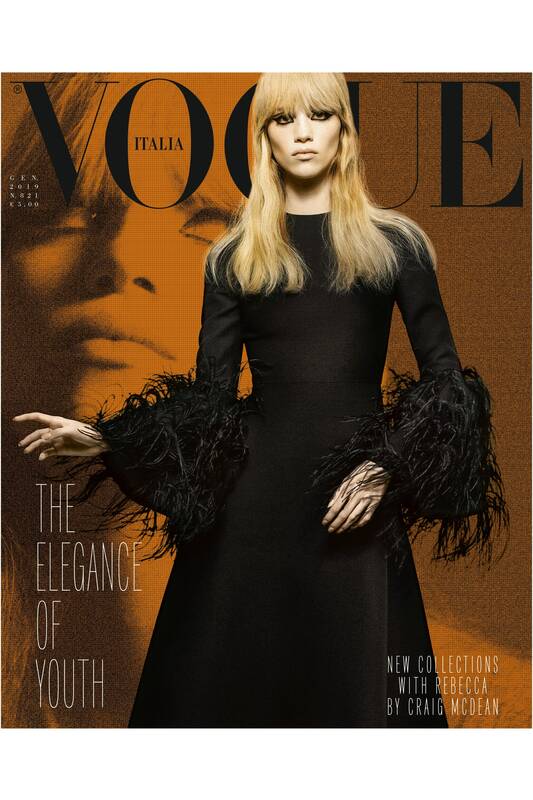 A new tragic year of Vogue Italia. I'm glad to see Rebecca. The background is interesting but it's ruined by the way she's standing stiff in the middle of the cover. There's absolutely no connection between the two. The bangs doesn't look good and the black eye-liner neither. Tinna, apple and sixtdaily like this. Interested to see how the ed turns out... I do believe they're referring to Nico in the years of Andy's Superstars. EstefaniaAbaddon, ivano, ForTheImage and 3 others like this. 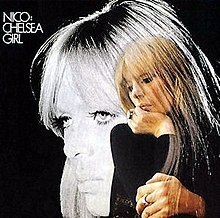 Yes, I also saw the nod to Nico. This cover could've been great if she did another pose. She looks clueless, it's as if she wants to say "am I doing this right?" StockholmFW, Tinna and phungnam96 like this. Interesting read on the comments. Wondering how the comments section would look like if it is by Misel. It for me is an above average cover for a long time. Comparing this to their previous covers, it looks nice, feminine and properly vintage. Pretty girl! And since VI here costs less than in Italy, I might be getting it. ghostwriter10549, 333101 and apple like this. I have started dissociating this new VI to the iconic VI, so I think it's one of the more interesting ones that they have delivered lately. I just wish there's more tension in Rebecca's pose and expression. It's not so bad. Looks like a random October cover in peak VI. It's probably one of the best covers produced under Farneti but it still has some flaws. I like the image and the concept, the photo in the background looks stunning , maybe it would have been better if that was the only cover shot. As I said I like in fact the concept and I find Rebecca very interesting looking but I still don't find her strong enough to carry this: her main pose and expression look stiff and not elegant. (Whereas Fran's posing last year made a much more impact on me). It's a good cover girl choice anyway, Rebecca seems to be the next high fashion star. In conclusion I'm okay with this cover and I'm curious to see the editorial and the models featured. YohjiAddict, 333101 and Blayne266 like this. I don't know if she is resembling Nico or Francoise Hardy. I actually like it! Keep it up! I was early fan of Rebecca, as you can see in her thread. But since her emergence I have yet to convinced by her in print. I hope this is solo shot so I can eat my words and be impressed LOL. That is one gorgeous girl but I'm not feeling the two images together. The background one would have been so stunning on its own. Ditch the stiff mannequin in the foreground and this coulda been kinda cool! The background shot alone would have been intriguing. She looks confused in the foreground. My first thought was the cover with Kate Moss by Mario Testino from February 2016, with the orange filter. Yeah... not the worst cover I've seen (do quite like McDean's photography here and the styling) but certainly not a cover which makes be compelled to know what's inside, or that warrants a purchase. Valentine27 and aracic like this.